I meant to have this posted yesterday but then there was a major power outage I wasn’t able to access anything for the rest of the night. Gamers and arcaders in Pasedena California will have something to celebrate here in the next few months when a brand new venue opens their doors. 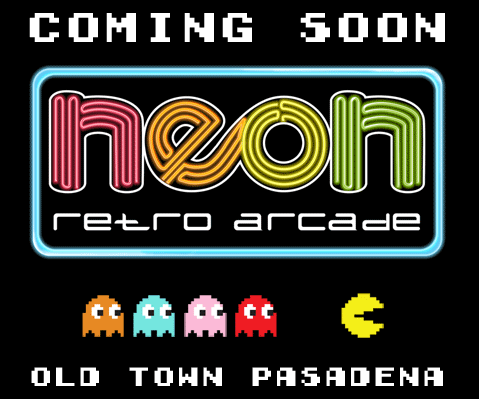 Called the Neon Retro Arcade, they are going to focus on the classics, using the standard payment model for retrocades these days of charging a door fee with the games on freeplay. They have yet to unveil a full list of the games that will be available there but it will be “over 40 titles” that will be a mix of video arcades and pinball. Among what they have unveiled to be there includes: Asteroids, Donkey Kong, Galaga, Joust, Joust, Ms. Pac-Man, Centipede, Millipede, Mappy and Space Duel. They also will have classic video game consoles setup on “stations” for patrons to enjoy. You can check out their website here, we wish them the best of luck in opening and moving on up from there! 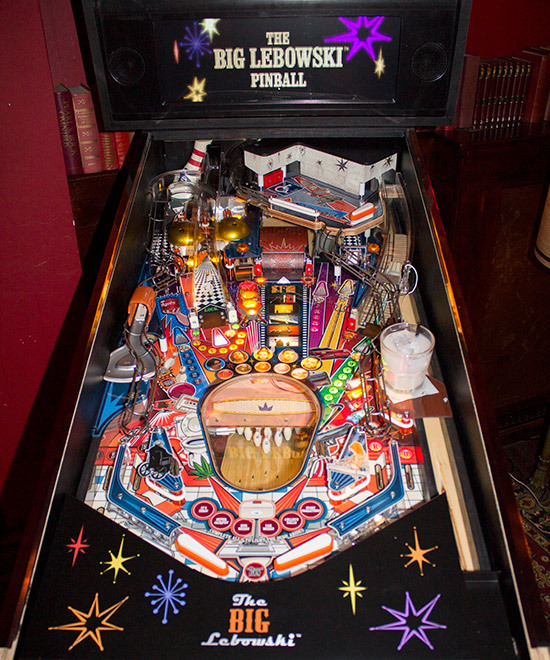 A little while back we mentioned The Big Lebowski Pinball which was in development by Dutch Pinball. Dutch Pinball held an event yesterday where they officially unveiled the machine to press and PinballNews.com was there to nab some pictures. It has an excellent and colorful art look to it while offering modern features like a color display. That display does maintain the dot matrix look, in case anyone was worried. the toys look to be very well done, the White Russian glass looks good enough to mistake it for a real drink on the field! Overall this looks very professional, which should be a boon to them in getting orders. I had thought this was supposed to come out in 2015 but this was billed as a “launch party”. Here is Dutch Pinball’s FB page if you wish to keep up with their latest developments. UPDATE: Pinball Magazine has more info on the launch. #3 – Logic Pro 2 by Deniam Corp. These quizzes are great, you should keep ’em all in one place! Thanks for the interest and mention in your post. Fishbowl Frenzy™ is reminiscent of the carnival ball toss game everyone played as kids to win a goldfish. 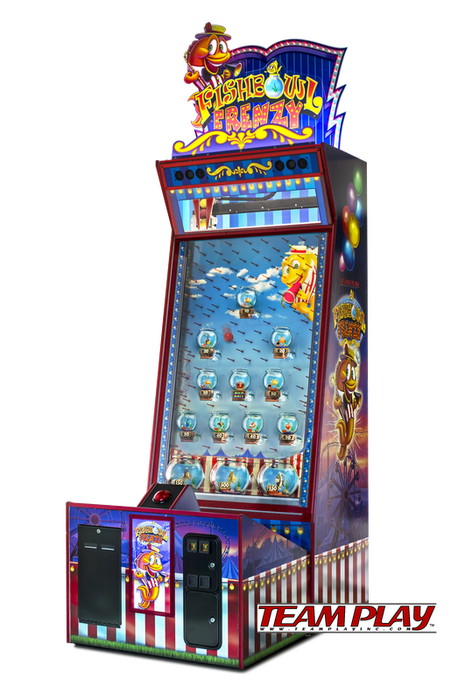 Fishbowl Frenzy™ is an augmented reality ticket redemption game with adorable 3D animation incorporated into 65 inches of high definition, transmissive LCD screen. The game play is quick and highly addictive fun. Team Play’s official release will be at Booth 2000 of IAAPA 2014 in Orlando, Florida November 18-21. And you’re right. It was the talk of the show at EAS.